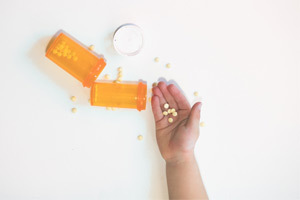 Parker Waichman LLP is investigating potential opioid-addicted baby lawsuits across the country as the opioid epidemic continues to harm people day after day, including innocent babies and children. An opioid-addicted baby is born every twenty-five (25) minutes, according to data provided by the National Institute on Drug Abuse. These innocent babies go on to suffer from opioid withdrawal, a condition called Neonatal Abstinence Syndrome (NAS). The prevalence of opioid-addicted babies has increased substantially over the past two decades. Lawsuits filed over the past few years across the United States have alleged that the manufacturers of opioids knew just how addictive their painkillers are and misled both doctors and patients about the true risks of long-term use of opioids. If you or your baby may have a potential opioid claim, speaking with a lawyer will help you have a better understanding of what legal options may be available to you. Opioids are given to patients to treat pain associated with a variety of injuries and medical treatments. Whether a person has suffered painful injuries in a car accident, sprained an ankle, or is suffering from the painful side effects of cancer and cancer treatments, opioids seem to be the go-to option for addressing the pain. However, when opioids flooded the market more than two decades ago, the primary purpose of the drug was to treat patients with terminal illnesses or for short-term use following surgery. Opioids were never intended to be used to treat routine back pain or a headache, but unfortunately, a significant number of patients addicted to opioids today started taking the painkillers on a long-term basis for injuries that traditionally were treated without opioids. Opioid manufacturers marketed their painkillers for nearly any type of pain-related issue, knowing that patients would become addicted and need more and more for the drug to keep working. Additionally, many patients were prescribed opioids without being given any alternatives. Because manufacturers frequently pushed doctors to prescribe more and more opioids, innocent patients and their loved ones, including their babies and children, are suffering the consequences while manufacturers are making billions of dollars. Who is to Blame for So Many Babies Being Born Addicted to Opioids? Many people may believe that the mother should be to blame when a baby is born addicted to opioids. After all, the argument is that the mother chose to take opioids and other drugs, such as heroin, that was used to satisfy an addiction. However, many of these mothers were prescribed opioids and followed their doctor’s instructions. Because opioids are so addictive, mothers cannot simply stop taking the painkillers without suffering severe, and sometimes life-threatening consequences. As such, when doctors decide to stop prescribing opioids to an addicted patient, the patient then may turn to street drugs to satisfy the addiction. If a mother becomes pregnant while addicted to opioids, it can be more dangerous to stop taking opioids completely. Therefore, many babies are born addicted to opioids, which can have negative, and sometimes permanent, consequences for a baby’s development, both mentally and physically. What is truly heart-wrenching is that many opioid-addicted mothers were not drug users before being prescribed opioids. Many of these mothers went to the doctor to address pain associated with a medical condition. Something as simple as back pain can turn a person’s life upside down when opioids are prescribed on a long-term basis. Perhaps some doctors should share the blame in prescribing opioids for conditions that can be treated or managed in ways that do not involve highly addictive painkillers. But, when manufacturers communicate false information to doctors about the addictive nature of their opioids, many doctors rely on such information and therefore cannot tell their patients about the deadly risks of taking opioids, especially on a long-term basis. Whether the statute of limitations period for filing a lawsuit has expired. Because every lawsuit is different, a lawyer will cater his or her analysis to fit the unique facts of each client’s situation. There is a stigma attached to opioid-addicted individuals, and many people believe that those who are hooked on painkillers have reached this point through their own actions. But, it is important to remember that even the best of citizens with no drug or criminal history are suffering from opioid addiction all because they relied on information and instructions they received from their doctors. Listing in “Best Lawyers” Publication Established by Thorough Peer Review. Not only does our law firm help clients receive the compensation they deserve, but we also take steps to ensure all clients are satisfied with the care and attention our legal team provides them throughout the entire legal process. If your baby or child is suffering from opioid-addiction, you should consider discussing your situation with a qualified lawyer as soon as possible. At Parker Waichman LLP, we will thoroughly evaluate your potential legal claim and provide you with the insight and guidance you need to move forward. To schedule a free consultation, contact our office today by calling (800) YOUR-LAWYER (968-7529). Have you or a loved one suffered due to Opioids?